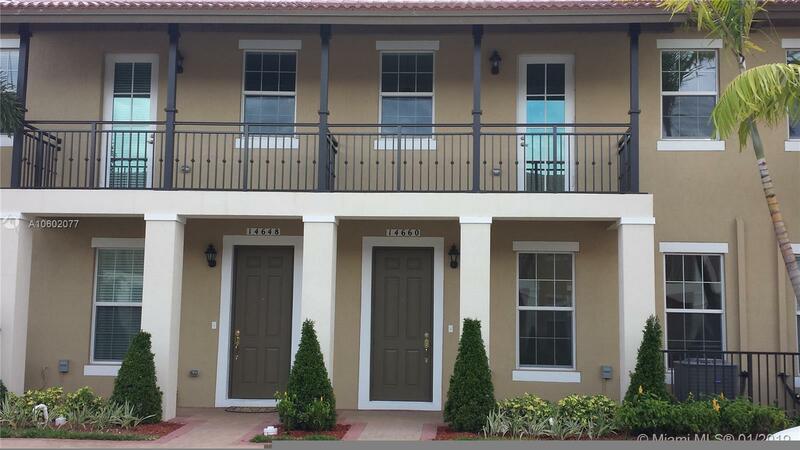 14660 SW 14th St #14660, Pembroke Pines, FL.| MLS# A10602077 | Susan J Penn l Best Agent l Buy & Sell South Florida Homes! BEAUTIFUL 3 BED/3 BATH COURTYARD HOME AT COBBLESTONE, ONLY TWO FAMILIES HAVE LIVED IN THIS PROPERTY. 10" CEILINGS,1st FLOOR, CERAMIC TILE FLOOR IN SOCIAL AREAS, CARPET IN BEDROOMS, LOFT AREA UPSTAIRS, 1 FULL BED/BATH DOWNSTAIRS W/PRIVATE ENTRANCE AND PATIO IDEAL FOR OFFICE OR IN LAWS. ALARM SYSTEM, UPGRADED WOOD CABINETS & GRANITE COUNTER TOP IN KITCHEN & BATHS, STAINLESS STEEL APPLIANCES. WASHER & DRYER, 2 CAR GARAGE, CLUBHOUSE W/FULL KITCHEN RECREATION AREA, PLAYROOM, FITNESS CENTER, POOL & MORE. PROPERTY IS RENTED ON A MONTH TO MONTH BASIS. TENANT COULD STAY IF DESIRED. EXCELLENT LOCATION, CLOSE TO I-75, SHOPPING CENTER AND WHOLE FOODS. Directions: From I-75 Get Off On Pines Blvd West, Make A Left On The First Light. Community Located Behind The Shopping Center. After Passing The Gate, Keep Going Straight And Make A Left On SW 14 St. Building Will Be On The Right Side On 146th Ave.